Hugh McGuiness, Marriage Officer and Celebrant. Hello, my name is Hugh, and I am a marriage officer and celebrant providing legal ceremonies in throughout Scotland. 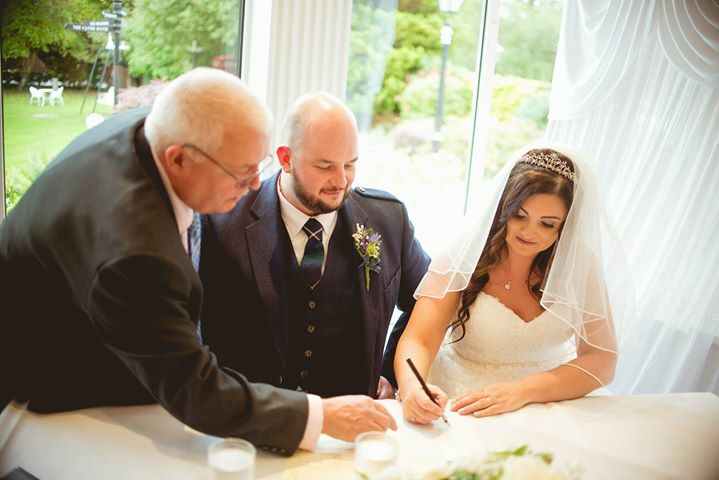 I live in a place called Cambuslang in South Lanarkshire, however I regularly travel all over Scotland performing wedding ceremonies for couples, naming their babies and celebrating their loved ones as they pass on to the next life. I meet every couple to get to know them. I hear about how they met and started dating, I get to know their likes and dislikes, and I tell them all about myself, my history and how I got to be a celebrant. By the end of our first meeting we are generally good friends. Once a couple decide to book my services for their wedding we have a ceremony planning meeting to create a marriage ceremony that is personal and meaningful to that couple. Every couple has their own ideas of what works best for them, so each ceremony is carefully crafted and put together to make their perfect wedding ceremony. As registered TLC Faith marriage officer, I am committed to providing you with a choice of ceremony that reflects you and your partner’s personalities. 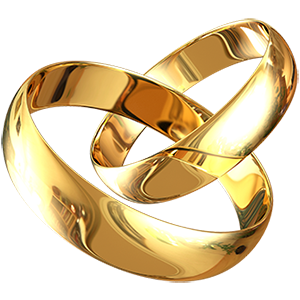 I have been trained in various symbolic gestures for weddings, such as hand-fasting, sand ceremonies, Unity candle and many more. I explain each of these to clients, describing them in detail and letting the clients decide if they like or dislike them. They can even come up with an idea I have not seen before and start a new trend. All the ceremonies that I perform are legal and binding, there is no need to do it all again at a registry office. We will plan your ceremony your way. It will bring out the personality of the couple and can have various symbolic gestures and readings. I believe that marriage should be based on respect, Respect for yourselves, and respect for each other. This will enable the bond between you to grow even stronger. For your reassurance I have been disclosure checked. This certificate, and all other insurances etc, can be viewed at a client meeting. In Scotland, you are free to choose the location of your ceremony and your venue does not need a licence. The timing and the content of your ceremony can be bespoke to each couple, so you can marry at night or day, on a beach, in a castle ruins or even your back garden if you want, no matter where it is I can give you an independent and unique ceremony you and your guests will be love. Want to have a chat about your wedding plans? I offer a no obligation meeting with couples to get to know one another, find out what couples have in mind, and to see if I can assist them moving forward. This can be arranged at your home, my home, your venue or at a coffee shop or cafe somewhere. If you live too far away for this, I offer phone calls and video conference calls too. Why not subscribe to my mailing list ? I will send you lots of tips and tricks to help you with your wedding planning. TRUST ME... I will never pass on your information.